The way you choose to pay for your solar system can make a huge difference in your savings over time. This article outlines all 12 solar panel financing options for Californians, along with the kinds of companies that offer them. The Solar Buying Guide - Step 4 contains a summary of the article on this web page. It is enough for most shoppers to decide on the best way for them to pay for a PV system. However, for those who would like more information on these financial topics, here is the full article. It is sad but true that few people are very knowledgeable about most financial matters. And when things get complicated, as with assets that last for decades and a variety of ways to pay for them, most people are usually forced to depend on others to advise them. The premise of this article is that anyone can discover what they really need to know and become mostly independent of financial advisers, at least in the area of solar financing. Actually, if you read the material here, you can also apply much of it to other financial areas in your life. If I had to single out a single message from this page, it would be this: Do Not Sign Any Contracts Until You're Sure About the Financing. It's way too important to do hastily. It plays a very large role in how much your system will cost and how much you will save over its lifetime. Again, I must remind you that I am not a CPA or attorney, and nothing in this website or its Solar Buying Guides should be construed as giving legal or financial advice. Also, Solar Consumer Advisor, LLC is not affiliated with any financing company, so our advice here is completely unbiased. Shopping for solar gets even more complicated in Step 4 - Financing. That's because the three ways of acquiring solar (lease, buy, or PPA) overlap with a variety of ways to pay, forming a total of 12 combined options. This section organizes these 12 combinations of options so you can see what goes with what. The previous article, Solar Lease, Buy, or PPA, described the pros and cons of these three ways of acquiring solar. Monthly payments for a PPA or lease were described and evaluated in that article, so there's no need to repeat it here. That leaves only buying or pre-paying a lease, both of them either with cash or a loan. This article will therefore address the pros and cons of cash versus loan, which apply equally to purchases and pre-paid leases. It will then go on to explain and evaluate the various types of loans available for solar. ​Leaving aside personal, non-economic preferences about borrowing money in general, solar financing has many advantages. First, your loan payments are just a continuation of paying for your electricity by the month as you use it, rather than prepaying twenty or more years of use up front in cash. Second, you get the benefits of inflation in repaying the loan with devalued dollars as the loan proceeds. Third, if you sell your house during the loan term, the loan will be paid off by the sale proceeds, which will include the extra value of the PV system in the price. Fourth, you don't tie up a substantial chunk of cash in your PV system. As a permanent improvement to your house, solar is a natural fit for a home-improvement loan, which is really an add-on to your primary home mortgage. There is no more reason to pay this loan for solar off faster than there is to pay down your first mortgage. It would reduce total interest, but it undoes the main financial benefit of buying a house: leverage. When you buy a house for $500,000 by putting $100,000 down and borrowing the rest, you are investing $100,000 "on margin" on a $500,000 asset. When the home appreciates by 10%, that's 10% of the full value of the asset ($500,000) so the appreciation ($50,000) is 50% of your $100,000 investment - a very high rate of return. This, plus the tax-deductibility of mortgage-interest payments, is the main source of profits in real-estate investments. But if you invested $250,000 (down payment plus subsequent loan pay-downs) instead, that $50,000 appreciation would only be 20% of your investment instead of 50%. That's why, all other things being approximately equal, putting the smallest amount down and taking the full 30-year term, even though the interest rate may be a bit higher, is usually the smartest thing to do (despite the widespread advice from banks to take a shorter-term loan for the lower interest rate). It maximizes your leverage. When interest rates are low and you can get a 30-year mortgage loan with a fixed rate and fixed payments, it's even better, because you will benefit as inflation eats away at the value of your payments. If interest rates rise, you gain even more. The same reasoning applies to any major home improvement, like a PV system, for which a long-term loan is available. Our conclusion, then, is that for most people in most situations (not all, of course), financing a purchase or pre-paid lease with a loan is preferable to paying for it in cash up front. All of these loan variables are important to check carefully before you sign anything. The U.S. government's Consumer Financial Protection Bureau is a reliable, unbiased source of information about loans. Almost all unsecured loans to buy a PV system come through solar vendors. They are called solar loans. They're rarely a good deal. The solar vendor usually has a financial arrangement with one or more solar financing companies (lenders) to offer these loans. The vendor raises the purchase price of the system, calling it the "loan price." This increase covers what would otherwise be loan origination fees to the lender, "interest buy down" (prepaying some of the interest so the quoted rate can be more attractive), and some additional profit for the vendor and the lender. Therefore, in order to compare a solar financing quote to any other kind of quote, you have to get a "cash quote" in addition to a "loan quote" and see how much has been added to the cash sale price in the loan quote. Then you have to figure your real net costs for this solar loan, taking inflation and tax deductions into account over the life of the loan to compare it to other loan options. It's not an easy calculation, but your accountant can do it. You can be sure that the lender's and vendor's accountants have already done it, and that the way it's structured is more advantageous to them than it is to you. As a further incentive to take these loans, vendors and their lenders often offer "12 months same as cash." This means you can wait up to 12 months to get your 30% ITC refund from your federal income tax return, turn it over to the lender, and apparently not pay any interest on this amount while it remains unpaid. Sometimes this is up to 18 months. Of course the lender is not offering you the free use of, say, $8,000 for up to 12 or 18 months without interest. They're just building the full interest for the 12 or 18 months into the "loan price" and interest rate. But it does make it harder to compare a solar loan to a more favorable loan that doesn't include this feature. This offer is attractive only if you really have to wait to recover the ITC, which can often be avoided (explained in the Solar Tax Credits and Deductions page). compensate for the greater risk by charging more in one form or another. The one advantage for homeowners, however, is that the loan is not secured by a mortgage on your house, so they can't force a sale of your house if you default on the loan payments. In sum, it's hard to give any firm figures for the costs of solar loans, because their terms differ widely, keep changing, and are written in ways that deliberately make comparisons difficult. As one example, we've seen a solar loan advertised as 2.99% interest rate fixed for 12 years, with the ITC feature of "12 months same as cash, no interest"), that really turned out to be a real interest rate of 5.19% for only a 12-year loan - no bargain at all. Again, you should be warned that many solar vendors and some dealers make quite a bit, if not most, of their money on financing, so caution is in order when you consider such loans. PACE stands for Property-Assessed Clean Energy. It is a government program whose main feature is that the price of your PV system is treated as a property-tax lien against your home, so you pay for it via an additional assessment on your annual property taxes. (1) In Southern California, there are two main administrators/financers of almost all PACE loans: HERO (Home Energy Renovation Opportunity)(2) and California First. (3) While the details of their terms sometimes vary, their programs are similar. Your eligibility for PACE depends on the participation in PACE of your state, county, and city. Most SCE customers will be eligible, but not all. To see if your house is in a PACE jurisdiction, go to CSE's PACE Programs page and enter your city or county. That website will also show you who administers PACE programs for your location. There will be only a few choices, at most. Then go to the websites of the administrators and you'll see their eligibility criteria and terms. You can also call them for this information. They're usually nice and helpful. The main advantage of PACE loans is that they're easier to get than other loans. Because they're backed by government programs as well as your property (sort of, see below), their main eligibility criterion is your equity in your home, not your personal credit. (Equity means the difference between the present market value of your home and the sum of all mortgage-loan balances outstanding.) On the flip side, their interest rates are higher than many other loans, so monthly payments may be higher. For example, HERO in L. A. county is now offering 8.35% for 25 years; California First offers 8.39% for 25 years. A potential drawback with PACE loans is that its lenders are not regulated by the government. Hence, disclosures and other borrower information may not be as complete or accurate as from regulated lenders. On May 30, 2017, California Assembly Bill AB 271 passed the Senate and is now awaiting committee approval by the Assembly. It is a consumer-protection measure intended to make the PACE program more transparent and ensure its long-term viability and benefits. If it passes the Senate, it appears that it will ease some of the risks of PACE loans. In California, PACE loans are "quasi-secured." Without going into all the complicated details, a PACE loan does put a lien against your home, and that lien must be paid off when the home sells. A drawback of all PACE loans is that if a buyer tries to get a first mortgage loan to buy your house, PACE will not subordinate its loan to a new first mortgage. But right now, the only kinds of loans that will allow PACE to retain its first mortgage position are FHA mortgage loans. This limits the kinds of loans a buyer can get, without having to pay off the PACE loan in the sale. How defaults on the PACE loan are handled is different than a loan secured by a second mortgage. 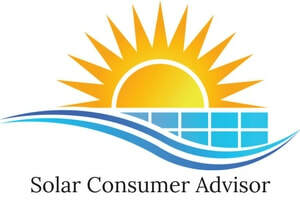 This gets into legal issues that Solar Consumer Advisor is not licensed to give advice on, so you should not rely on it for advice in this area. Any PACE administrator can provide you with the legal conditions. Some PACE loans, depending on the location, have additional consumer-friendly features such as some better disclosures and quality control over the solar dealer. In sum, a PACE loan, if you live in a location that offers them, may or may not be a better deal than a Solar Loan, and the additional security you put up in the form of a tax lien on your house probably isn't a big deal for most people. The main advantage of a PACE loan is that it's easy to qualify. They don't rely on your credit score, but you must have at least 15% equity in the home. If you can qualify for a better loan, however, you can save quite a bit. The least expensive loans are, naturally, the ones that offer the least risk to their lenders. One of the main things that lowers lenders' risk is collateral. For home improvement purposes, this usually takes the form of a second mortgage on your home, so it is called a home-improvement loan. If you default on the loan, the bank can force a sale of your house to pay it off, just as they can with your first mortgage. Other factors that lower lenders' risks, and therefore make their loans cheaper to you, are your equity in the home, good credit history, high income-to-debt ratio, and other indicators of credit-worthiness. For these loans, therefore, the greater your equity in the home (10% is usually minimum), the better your credit score and history, and so on, the better terms the lender will offer. Home-improvement loans have been around for a very long time and are a well-established, sound way of financing expansions, major repairs, or improvements to a house. As mentioned earlier, they make a lot of sense for home improvements, which solar is. Home improvement loans are available in two flavors: Home Equity Improvement Loan (HEIL) and Home Equity Line of Credit (HELOC). For a HEIL, you borrow a fixed amount. For a HELOC, you are given a credit limit on how much you can borrow, and you can to borrow any part of it during some period. You can also repay it in full or in part at any time, so you can draw out more when you need it and pay back whatever you want whenever you want. The interest charged is always on the outstanding balance, so in this way, you have control over how much interest you pay. HELOCs are obviously much more flexible than HEILs. They allow you to borrow some money for a PV system (and/or nearly anything else) now, make monthly payments or lump- sum payments, then borrow more for some other projects later. When their term is up (usually 15 to 30 years), they can be renewed if your financial situation and payment history meet lending criteria at that time. With a HELOC from one of the best banks or credit unions, you don't have to have a certain exact minimum credit score to qualify. They are flexible and reasonable in their credit requirements. They consider first the equity in your home (the more the better), then the rest of your overall financial situation. There are usually no loan fees except for an appraisal fee if your equity is less than 20%. ■ You have to take the full loan amount out at the beginning of the loan's term. ■ Rates are a bit higher (quite a bit higher if fixed instead of variable). ■ Payments are principal plus interest (amortized), not interest-only. There are four main features that differentiate one home-improvement line of credit or loan from another: type of interest (fixed or variable), interest rate, term (length of loan), and whether payments are amortized or interest-only. A variable interest rate changes at a defined frequency according to changes in the prime interest rate. To protect the lenders, there is always a floor, below which the rate cannot go, no matter what happens to inflation, and a ceiling, above which they cannot go by law. The floor is usually 2% to 3.75%, which is fine. The ceiling can be as high as 18%, which is a bit much, but that would be the result of a huge leap in inflation. Variable interest worries some people who needn't be worried about it. The rates fluctuate with our old friend, inflation. But if inflation increases, so does everything in the economy: your income, the return on your investments, your expenses, everything. As explained in the section on inflation, this has the effect of lowering the value or worth of dollars, so although the face value of things rises, the true worth remains about the same. This means that anything tied to inflation doesn't really change in real value, only in nominal value. Therefore, for many borrowers, there's little reason to worry about variable interest rates on loans. It is true that a fixed rate may be an even better deal if the inflation rate goes up, because you get a better and better deal each month by paying the same face amount with less and less valuable dollars. You won't be astonished to learn that bankers have known this for quite a while, and they offset it by charging higher fixed rates than variable rates. Which will turn out to be cheaper for you over the life of the loan depends on a number of factors. Interest rates for these loans vary according to your equity, credit, loan amount, loan term, and type of payment (amortized or interest-only). They can be as low as 3.50% right now, but they do change from time to time. HELOCs are usually only available with variable interest rates. HEILs come in both flavors. Obviously, the longer the length (term) of the loan, the lower the monthly payments will be. The downside is that you'll pay more total interest over the life of the loan than with a shorter loan, but that is not a simple calculation in Net Present Value, taking inflation into account. It may not turn out to be a downside at all. Amortized payments are a combination of principal and interest that pay off part or all of the the loan's principal balance at the end of the term. Fully amortized means the balance is paid off in full. Interest-only payments, usually available only for HELOCs, do not include any payments of principal. At the end of the term, the outstanding balance on the loan is the same as whatever you've borrowed. You must either repay it at that time (from your own funds or another loan) or renew the line of credit. For solar financing, interest-only HELOCs make a lot of sense, because the principal of the loan will automatically be repaid out of the higher proceeds from the sale of your house with the PV system attached. In other words, like any lasting home improvement, solar increases home value, just as if you had bought a more expensive house to start with. You will recoup some of that increased value when you sell. This is more true of PV systems than of virtually any other type of home improvement. The best way to recapture this increased value the soonest and get the most benefit from inflation is to pay nothing for it when you purchase it, and only interest on the loan until you sell the home. Imagine if you were offered a similar interest-only loan for your first mortgage. If you borrowed $400,000 (80% of a $500,000 house) for 30 years at 4%, your payments would only be $1,333 per month, as opposed to $1,910 per month for a normal, fully amortized loan. That way, your original down-payment of $100,000 would remain your equity amount throughout the time you owned the house, instead of going up and up as you slowly pay off the principal of the amortized loan. That maximizes your investment leverage. You could invest the difference in monthly payments, almost $600 per month, in something that grows reliably over the long-term (9% is the stock market average), and be way ahead when you sell. Unfortunately, no such interest-only first mortgage loans exist. But interest-only second-mortgage HELOCs do, and the same calculations and advantages apply. As a starting point for shopping for solar financing, PenFed,(4) a credit union, has long been a value leader in consumer credit. Their interest-only HELOC is 4.25% (prime + 0%), and is the best deal I know of. Their fully amortized HELOC isn't quite as good a deal as the one offered by Third Federal Savings and Loan(5) - 4.74%) for up to 30 years. The Federal Housing Administration (FHA) recently launched a pilot program called Power Saver,(6) offering home improvement loans for "green" purposes, such as purchasing a PV system. They offer up to $25,000 for up to 20 years at 5% to 7% fixed interest. The rates and terms don't seem as favorable as HEILs from PenFed or Third Federal, but since these loans are 90% insured by FHA (protecting lenders against 90% of any losses), they may be somewhat easier to qualify for. Although there are many differences among types of solar financing, surely one of the main factors in making a choice is their immediate, short-term, medium-term, and long-term costs, taking inflation into account. Here is a table comparing the costs of two HELOCs and two HEILs mentioned above, from PenFed and Third Federal, along with PACE and a monthly lease, all used to buy the example homeowner's system (described below). Rates are estimated, taking into account the Federal Reserve's March 15, 2017 .25% rate increase. ​The assumptions used here are the example homeowner's house and $200 per month average SCE bill, a 10% cushion in the size of the PV system (as recommended in the second Buying Guide), 5.711 kW DC STC, producing 10,131 kWh/yr. A cost of $23,346 gross or $18,442 net after the 30% ITC is used. It assumes utility rate increases of 3% per year and inflation of 3% per year. Marginal income tax brackets are 25% federal and 9.3% state. Monthly lease amounts assume a 2% annual escalator (which is the best deal you're likely to get on a lease). Interest rates are estimated, including the Federal Reserve's latest (June 15, 2017) .25% rate increase. The table does not include recouping any part of the cost of the system from a sale of the house, because the amount would vary with when it was sold. In case of a sale, this would make the first loan, HELOC interest-only, not directly comparable to the others, which are all fully amortized. They are all comparable, however, if there is no sale. In case of a home sale, there would be a larger balance remaining on the first loan than on any of the others, although this balance would be reduced in real dollars (today's dollars) as inflation ate into it over the years. For example, by year 20, the original balance of $18,442 would be down to a real $10,211. This would shrink to $5,654 by year 40, and its payoff is included in the 40 year total. Still, to compare apples to apples, if you sell your house, you'd have to add back this balance onto the cost of this first loan. You'd also have to add the outstanding balances on the other loans at the time of sale back into their costs. But you'd also have to include whatever additional money you make by investing the difference between the lower payments on this loan and the higher payments on other loans over this period. All in all, the first loan is likely to remain the best deal overall. It certainly is best for cash flow.